Hadoop and ecosystem., Data driven apps that work., Hacking stuff. 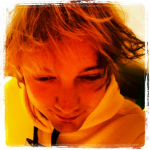 Friso is a developer who has lately been setting up and using Hadoop a lot for a living. Also, he is a trainer teaching the Cloudera Hadoop developer classes and (co-)organizer of the Dutch Hadoop community meetup (NL-HUG) and the Dutch NoSQL NL meetup.